Firstly, it shouldn’t come as a surprise that exercise, in general, is good for you. However, even with this knowledge being incredibly common, an enormous number of us feel that this is not motivation enough to get us up off of our backsides and into action! Exercise has a remarkably good effect on the brain. People who engage in regular physical activity show improvements in memory and learning whilst also becoming less susceptible to depression. It has also been proven that exercise is the best way to prevent or delay the symptoms of Alzheimer’s and dementia. 2. GET FIT, GET HAPPY! A huge number of studies show that all forms of exercise, from walking to weightlifting, increase levels of happiness and reduce the signs of depression. This is due to endorphins being released when we work out. Many of us focus too heavily on the physical benefits of exercising and ignore the psychological advantages! In short, stay active and stay happy! Keeping active can lead to elongating your life by up to five years! 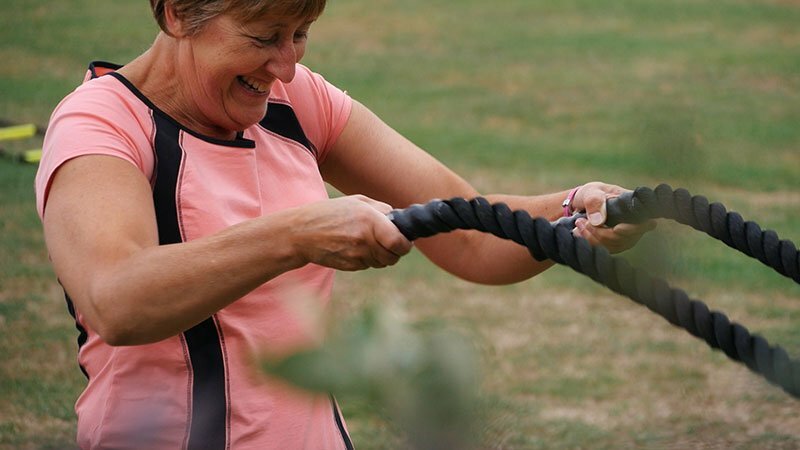 A recent study has shown that regular, moderate exercise can slow the ageing of your cells. As humans get older, our cells divide over and over again. Each time, the protective caps on the end of our chromosomes get shorter. Scientists recently found that exercise increases levels of a molecule that protects these caps, ultimately slowing how quickly they shorten over time. Aerobic exercise speeds up the flow of blood to the skin, delivering oxygen and nutrients that improve skin health and even help heal wounds faster. When we get injured, it’s important to get moving as quickly as possible. Not only to heal muscles, but also to get the blood flowing to the skin. Regular training will add more blood vessels and tiny capillaries to the skin. In the past, people suffering from major illnesses were strongly advised not to exercise, with doctors believing that the key to recovery was rest and recuperation. And while this is most certainly necessary for recovery, exercise also has incredible benefits. Even very strenuous exercise like the high intensity interval training can, in fact, aid people with different chronic conditions, from diabetes to heart failure. A recent analysis of more than 300 clinical trials discovered that for people recovering from a stroke, exercise was even more effective than rest for rapid rehabilitation.